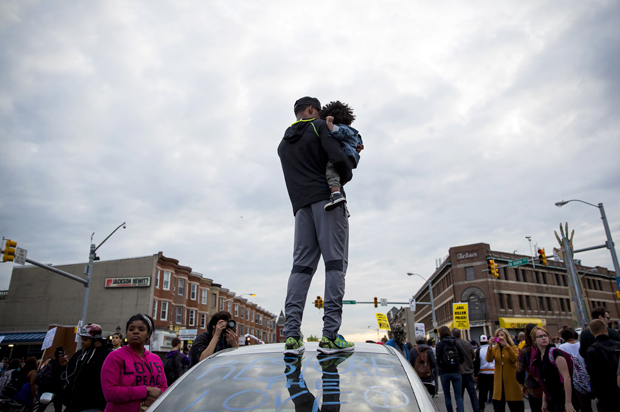 We continue our discussion on the Baltimore Uprising, and ask how the momentum and unity of the past few weeks can be continued. We’ll ask how local activists can use resources, attention and energy that are pouring into the city right now? Do we need to be wary of the attention we’re getting? Are there lessons to be learned from Ferguson? Our panel of guests includes: Marshall “Eddie” Conway, former Black Panther who was released from prison in 2014 after being incarcerated for 44 years, co-author ofMarshall Law: The Life and Times of a Baltimore Black Panther, and staff member ofThe Real News Network‘s Baltimore Bureau; Jessica Lewis, housing organizer at the Right to Housing Alliance (RTHA); Gary Stroud, resident of Bernard E. Mason and member of the RTHA leadership council; Elder CW Harris, Pastor at Newborn Community of Faith and Founder of Newborn Ministries Inc., which created Martha’s Place, Jubilee Arts, Strength to Love II, and Strength to Love Farm in Sandtown-Winchester; and Farajii Muhammad, host of Listen Up! on WEAA and Youth Empowerment Coordinator for the American Friends Service Committee in Baltimore.